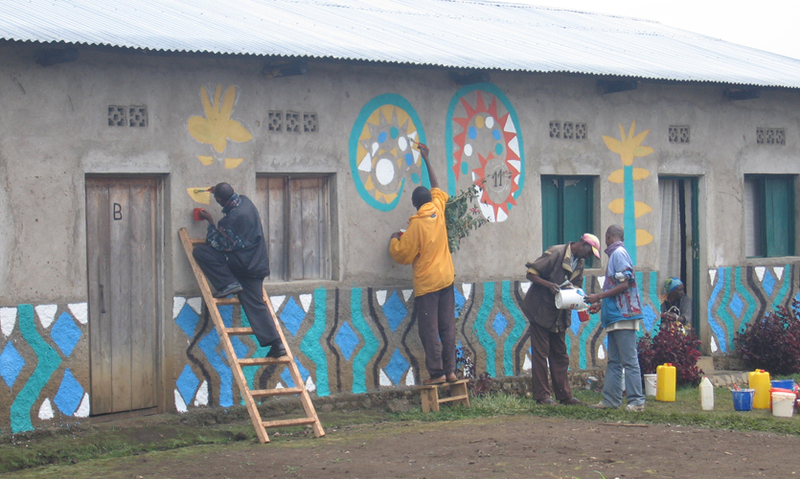 The Rwanda Healing Project is a two-year, multi-dimensional art project that expands the boundaries of art and design in the environment as a vehicle for social change. 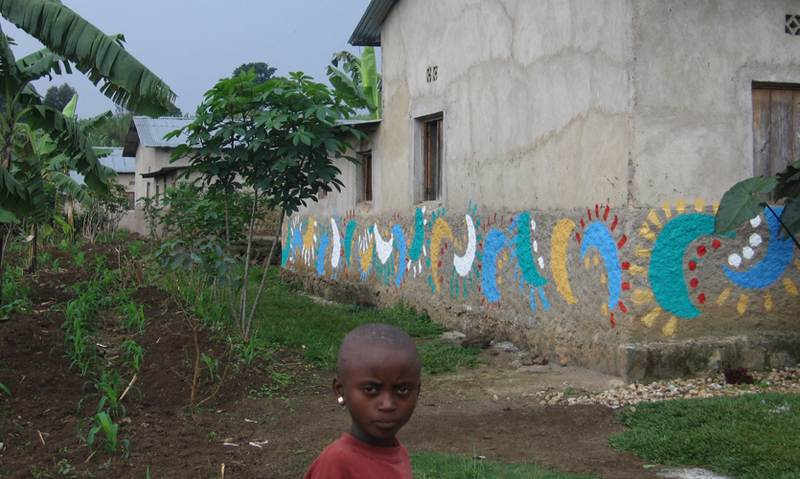 It aims to engage 100 female-headed families with several hundred children from the Survivors Village in the Cyanzarwe District and dozens of workers and volunteers from the nearby city of Gisenyi. 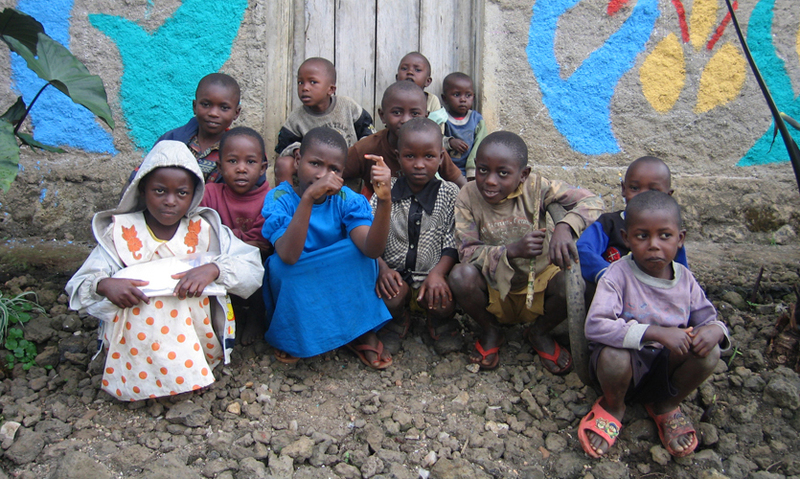 The residents of the village are survivors of the genocide and refugees left homeless. 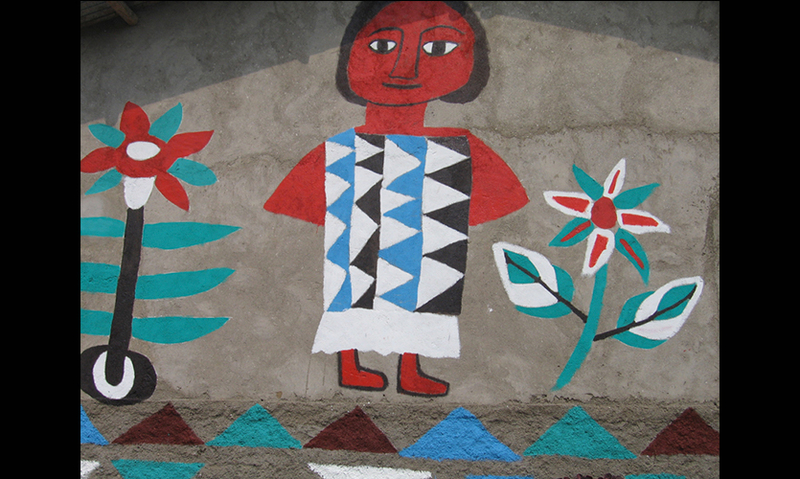 Drawing and mural painting workshops were conducted for village residents and their children. 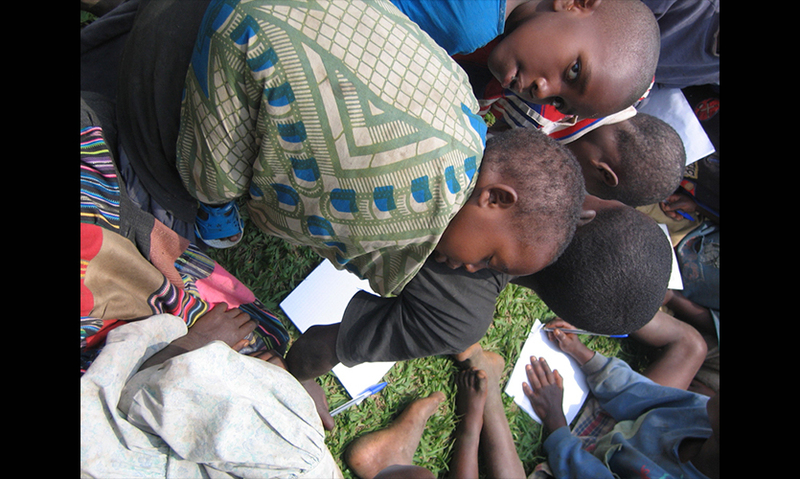 The workshops focused on helping children and adults tell stories in words and images through remembering the past, imagining the future, and connecting with their immediate environment. 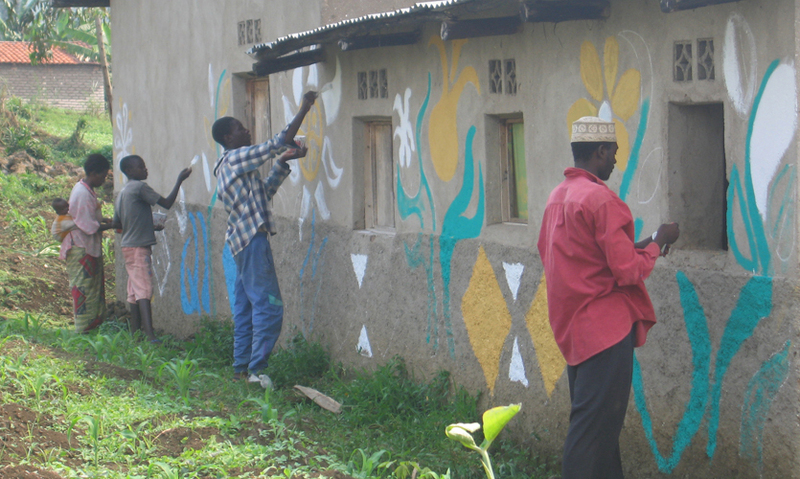 Both youths and adults participated in the wall painting of homes and, through this process, acquired skills that can be applied in home improvement and building projects in other parts of their community. 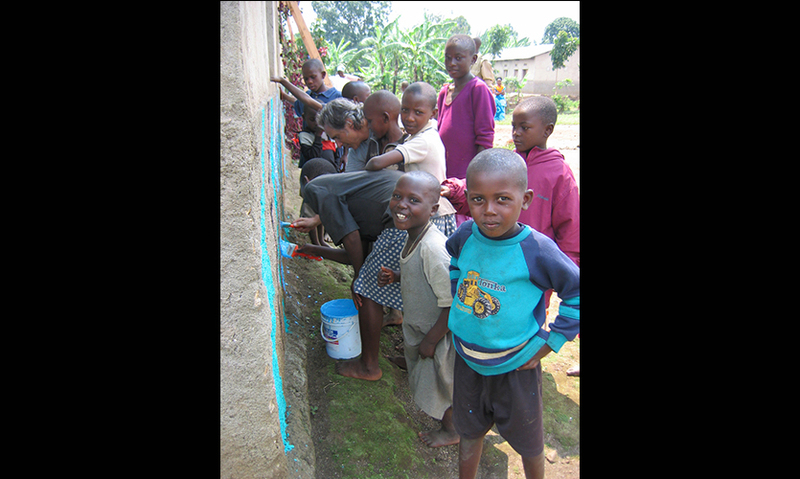 The painting process is open and participatory, so that it will become a project to train participants in practical skills such as organizing, planning, implementation, and documentation. "Too often, we designers get so caught up in designing the next best thing that we forget about how our art and craft can effect change in everyday life. Skills and processes we employ are often wasted on our singular pursuits. This project is the antitheses of this reality and shows just how much we have to offer the real world. Simple processes used to educate, heal, build leadership, and better the lives of these survivors should be a call to all who practice in the field of environmental graphic design." "This is a great example of design making a difference. 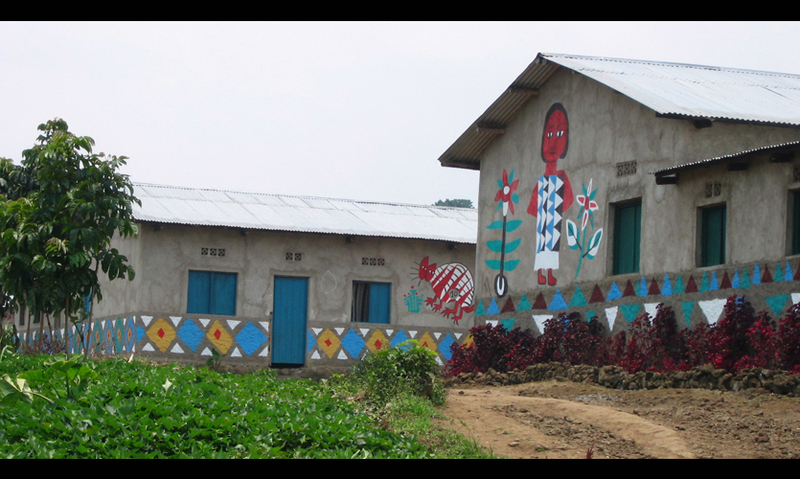 From the way this group conducted workshops to engage citizens in the design process to the teaching of basic skills as well as returning to ensure the project's sustainability, their commitment to making a genuine contribution was apparent and laudable."